“Hassan Abdallah al-Turabi,” Global Security, accessed October 7, 2016, http://www.globalsecurity.org/military/world/sudan/turabi.htm. Turabi is also believed to have had connections with al-Qaeda, Hamas, and Hezbollah. He died in March 2016.“Hassan Abdallah al-Turabi,” Global Security, accessed October 7, 2016, http://www.globalsecurity.org/military/world/sudan/turabi.htm. Turabi was born in 1932 in the eastern Sudanese town of Kassala. 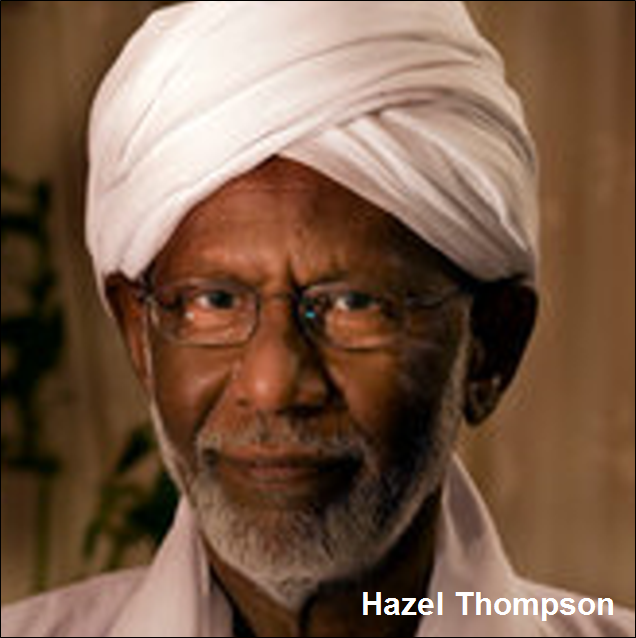 He reportedly attended Islamic schools throughout his childhood before studying law in Khartoum, receiving a Master’s degree in London, and then a PhD at Sorbonne University in Paris.“Profile: Sudan’s Islamist leader,” BBC News, January 15, 2009, http://news.bbc.co.uk/2/hi/africa/3190770.stm. Following his schooling, Turabi became the dean of the School of Law at the University of Khartoum.“Hassan Abdallah al-Turabi,” Global Security, accessed October 7, 2016, http://www.globalsecurity.org/military/world/sudan/turabi.htm. In 1963, Turabi and leaders of the Muslim Brotherhood in Sudan—which had formed in 1949—established the Brotherhood’s political party, the Islamic Charter Front (ICF). Turabi was soon elected secretary general of the party.“Hassan Abdallah al-Turabi,” Global Security, accessed October 7, 2016, http://www.globalsecurity.org/military/world/sudan/turabi.htm. The ICF advocated an Islamist constitution and operated on university campuses in an effort to recruit younger, educated members.“Islamic Charter Front,” Oxford Islamic Studies, accessed October 11, 2016, http://www.oxfordislamicstudies.com/article/opr/t125/e1095. “Hassan Abdallah al-Turabi,” Global Security, accessed October 7, 2016, http://www.globalsecurity.org/military/world/sudan/turabi.htm. Turabi reportedly advised Bashir in his efforts to fashion a government in accordance with Islamic law.“Hassan Abdallah al-Turabi,” Global Security, accessed October 7, 2016, http://www.globalsecurity.org/military/world/sudan/turabi.htm; “Profile: Sudan’s Islamist leader,” BBC News, January 15, 2009, http://news.bbc.co.uk/2/hi/africa/3190770.stm. Lawrence Joffe, “Hassan al-Turabi obituary,” Guardian (London), March 11, 2016, https://www.theguardian.com/world/2016/mar/11/hassan-al-turabi-obituary. Bin Laden accepted the invitation and promised to fight against Christian separatists in southern Sudan in exchange for safe haven.“Hassan Abdallah al-Turabi,” Global Security, accessed October 7, 2016, http://www.globalsecurity.org/military/world/sudan/turabi.htm. Turabi was also linked to a number of extremist organizations. In 1991, Turabi founded the Popular Arab and Islamic Congress (PAIC), an annual conference that brought together global militant Islamist leaders. The PAIC congregations are believed to have hosted leaders and representatives from al-Qaeda, the Palestine Liberation Organization, Hamas, and Hezbollah.“Hassan Abdallah al-Turabi,” Global Security, accessed October 7, 2016, http://www.globalsecurity.org/military/world/sudan/turabi.htm. “Sudan’s Islamist Regime: The Rise and Fall of the ’Civilization Project’,” Democracy First Group, accessed November 3, 2016, http://www.democracyfirstgroup.org/sudans-islamist-regime-the-rise-and-fall-of-the-civilization-project/. The program also included the purging of non-Islamists from government entities, including civil service, military, and security functions. Non-Islamists were reportedly subject to torture as part of Turabi’s push to implement sharia in Sudan.Ahmed Kodouda, “Sudan’s Islamist Resurrection: al-Turabi and the Successor Regime,” African Arguments, February 24, 2016, http://africanarguments.org/2016/02/24/sudans-islamist-resurrection-al-turabi-and-the-successor-regime/. The partnership between Bashir and Turabi dissolved soon after Bashir reorganized the NIF to form the National Congress Party (NCP) in 1998. In December 1999, following a yearlong power struggle, Bashir stripped Turabi of his position of secretary general in the NCP.“Hassan Abdallah al-Turabi,” Global Security, accessed October 7, 2016, http://www.globalsecurity.org/military/world/sudan/turabi.htm. Turabi then split from that party with a group of followers and formed the Popular National Congress Party (PNCP), which continues to denounce both secularism and democracy and promoted an openly Islamist agenda. The PNCP has since struggled to establish itself as a robust political party, winning marginal parliamentary seats each election cycle.Popular Congress Party, Popular National Congress Party (PNCP),” Global Security, accessed October 11, 2016, http://www.globalsecurity.org/military/world/sudan/political-parties-pcp.htm. In March 2015, Turabi was reportedly hospitalized after collapsing in his office. A year later, Turabi died on March 5, 2016 from a heart attack. His funeral was reportedly attended by thousands of mourners who sympathized with his political and ideological views.“Hassan Abdallah al-Turabi,” Global Security, accessed October 7, 2016, http://www.globalsecurity.org/military/world/sudan/turabi.htm.